Hendrickson Publishers and Rose Publishing had a large area that was almost always packed full with buyers. I was able to grab a few photos, but I didn’t get many details of what they were showing. The real gem from Hendrickson/Rose came from an interview with a marketing associate named Maggie. I was able to line up an interview before the show and she revealed several new products that I’m excited about. The video of that interview is posted below. 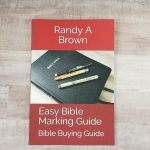 Rose Publishing has a new study series and Hendrickson has several new Bibles. I was able to interview Maggie. She provided us with a lot of information about each of these products in the video interview (at the bottom of the page). Here’s a little bit of info and some links. 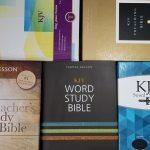 Rose Publishing has recently released the 4-volume Visual Bible Study Series. Maggie covers these in detail in the video. I love the visual design and inductive features. I have reviews coming of each study guide. 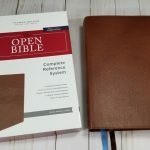 Maggie describes three new Bibles. 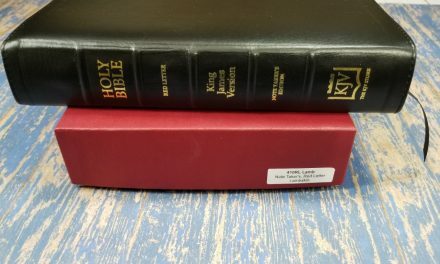 The KJV Giant Print Personal Size is an upgrade to the current edition. It will have cowhide and better paper than the current edition. 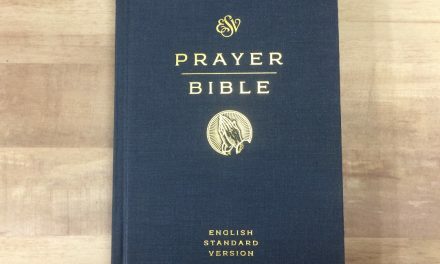 The Hallmark Reference Bible is a goatskin edition. 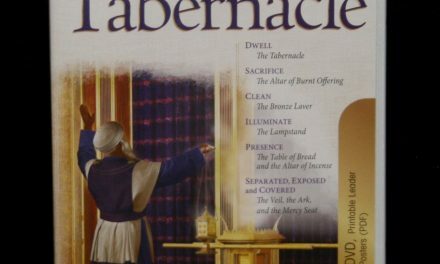 The Then & Now Bible Maps and KJV Bundle is a set that includes both products. In the interview, I had thought the maps were printed in the Bible (I’ve wanted a Hendrickson/Rose Bible for several years. Hopefully this is something they’re working on). I’ll have reviews of each of these. I was able to bring the study series home with me. I like the design. Rose knows how to produce great visuals in their study guides. 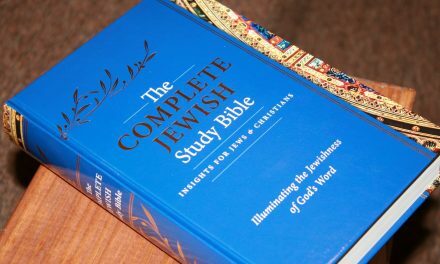 I also like that it has more of an inductive study, allowing you to dig into God’s Word rather than telling you what to believe. Of course, I’m looking forward to seeing the Hallmark Reference Bible in goatskin. I think the KJV Giant Print in cowhide will be a nice Bible too. I’m glad to see Hendrickson producing higher-quality editions and I hope we see more of them. I would especially like to see the wide margin edition available in the cowhide that its litter brother will have in October.